A Chicago woman who’s accused of robbing a Lakeview grocery store last week was free on bond at the time—awaiting trial for a similar robbery attempt of a grocery store in Bucktown, according to court records. Jewel-Osco employees told police that 33-year-old Amarilys Del Rio of the Austin neighborhood entered their store at 3400 North Western around 2 a.m. last Friday and began stealing merchandise. When the workers confronted Del Rio at the store’s exit, a struggle broke out, and Del Rio said, “I’m going to stab you with my knife,” while displaying what may have been a nail file, police said. Del Rio spat in the face of a 59-year-old Jewel worker and headed toward the doors saying, “I am going to get my gun and pop the f*ck out of this place,” the employees reported. Police caught Del Rio nearby in possession of a laser pointer, batteries, and a probiotic supplement, according to court records. 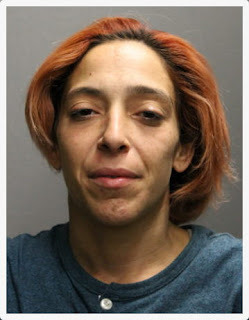 Prosecutors charged her with felony robbery, felony aggravated battery of a merchant, felony retail theft with a prior conviction, and misdemeanor possession of drug paraphernalia. Judge Mary Marubio ordered Del Rio held without bail. Court records show that Del Rio was ordered held without bail last autumn after she was charged with two felony counts of aggravated robbery for allegedly threatening to stab employees who tried to stop her from stealing $1,247 worth of merchandise from Mariano’s, 2112 North Ashland. Judge Travis Richardson later reduced Del Rio’s bail to $10,000, which allowed her to go free by posting a bond of $1,000. Bail in the November case was revoked by Marubio in light of the latest allegations against Del Rio.